From my first contact with Sean, who runs the place at the front, through my interactions with him in the showroom office, and another colleague of his (sorry, I never got his name) in the garage area who actually worked on my SUV, I had nothing but honorable dealings with the staff at Performance Car Audio in North Vancouver on Pemberton Street. Id called Sean to ask about a kind of custom job Id wanted them to do with my Stereo System (upon referral from a long-time mechanic I know and trust...now I know why he referred me there , and, after describing the situation to him, Sean didnt flinch and (with understandable margin for error due to not yet having seen my equipment) gave me a ballpark estimate which was fair indeed, and, even better, the final cost came in at the low end of the range hed mentioned. He and his staff were open with me throughout my encounters with them, and they graciously and patiently took time to describe their takes on the situation to me, and offer me the benefit of their insights and experience as we worked to come up with the best possible setup for my car. They always treated me with courtesy, even when we talked about things that werent exactly in their area of expertise. 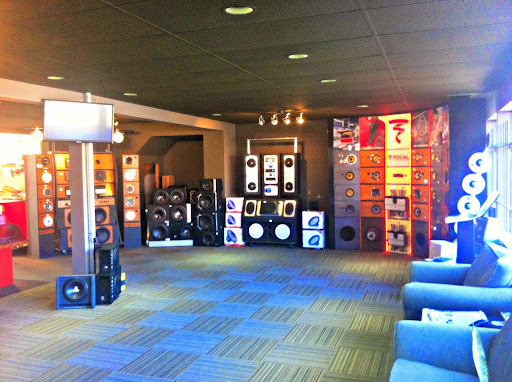 If you need some work done on your cars sound system, I wholeheartedly recommend that you include Performance Car Audio on Pemberton Street in North Vancouver among those whom you contact. You might end up at least as satisfied as I am, and while, for most places, thats quite a tall order, Id bet that theyll probably treat everyone the same way they treated me, so you probably wont be disappointed at all in the experience. I had a major mechanical breakdown in Alberta and had taken my car in for repairs and in the process the work that needed to be done from a failed alternator resulted in a shock or surge that burnt out a few fuses in the system, air conditioner, radio/GPS, the dealer found the problem with the air conditioner but could not find the problem with the radio. I left Alberta and proceeded to North Vancouver and decided I would try these people, AMAZING from start to finish, went in there at 9 AM and was told that if I come back at 11 AM they would follow a very specific test procedure and they told me each step they would take. I left and came back at 10:30 AM and was taken within minutes, and within minutes they came to me with a burnt out fuse that was at the back of the unit, I was in and repaired in less than 1/2 hour. This is what I call extreme service and very nice people to deal with, this world needs more people like them. After having a bad experience at another car stereo outfit in Vancouver, I was skeptical of this industry. After going to Performance Car Stereo, that all changed. I immediately felt comfortable in the company of their staff. I know that they did not want to rip me off, because I had to convince them that I was going all out, and was willing to pay for it, instead of using my existing components. These guys were professional, enthusiastic, friendly, honest and all they cared about was making sure I drove out of there with a big smile on my face. And believe me, with the quality custom subwoofer box they built in my trunk (oh and they also vacuumed my entire interior) Ill be smiling for a long time. Had a problem with my sub and amp not connecting. So I took here. He thought the sub was blown so decided to take out of my car and into the showroom to try out. While also he had a full shop. Tested the sub and worked! So put back in the car. Then he had a installer took a quicl look at the sub and amp and wired it differently to see if it works. But didnt. He suggested I clean the terminals on the battery with baking soda and water. That may work. Or put new screw on ground cable. I did what he suggested and BAM it worked. Great staff and customer service. Sean was the most helpful person I think Ive ever met. I initially went in looking for a new stereo and he helped me choose the right one for my needs. However, it didnt work properly upon installation. Sean went above and beyond by calling the tech people at Kenwood and emailing them trying to figure it out. In the end, I ended up needing to get it replaced and they did it at no extra cost to me! The people that work there are wonderful and very nice. They definitely value customer service and I highly recommend paying them a visit! Theyre amazing, so lucky to have great service like this in our backyard! With such a shortage of quality car audio specialist in Vancouver, Im so glad these guys are around. Always thd best price (Ive researched) and they have the most skilled team of guys.... Ive always brought it my cars, some of which can be more challenging than others (bmw), and theyve always been able to accomplish what I needed. Ive been going to Performance for over 15 yrs now with 7 different cars.. and every experience has been 10/10 !! I am new to Vancouver and after reading the reviews decided to check them out and I was not let down. They had the best customer service!! Not pushy and didnt try to up sell me. While they installed my stereo they took the time to drive me to Park Royal Mall to look around while I waited and picked me back up once installation was complete which was very much appreciated. They also made sure I knew exactly how to work my new stereo before leaving. I would definitely recommend them to anyone!! Sean is an outstanding representative. He helped me with choosing the right car audio products as well as getting my car alarm set up. Im happy with my new audio system (4 speakers, sub and amps) and alarm system. I would definitely go back considering that they were friendly and very helpful in answering questions I had regarding car audio. Great experience with them. Sean and Julian were very helpful throughout the whole process and willing to stay late to make sure my car was fixed. Would have easily been a 5 star rating but was unimpressed by the technicians condescending attitude. Overall, Performance has been great to deal with very competent work. Recommended. Totally agree with everyone here, these guys are awesome! Ive been to them a few times over the last couple of years with my car alarm system thats slowly dying and theyve been quick friendly cheap and successful in fixing it every time. They are so accommodating, no hesitation recommending them to anyone.